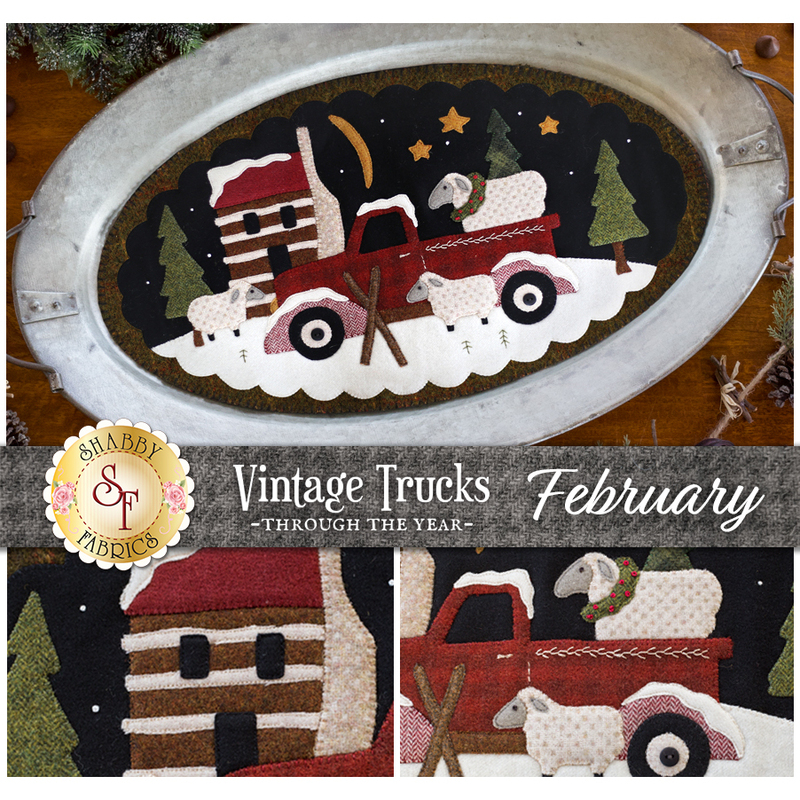 Celebrate each month of the year with gorgeous and detailed wool appliqué with the Vintage Trucks Wool Mats! Designed by Buttermilk Basin and recolored here at Shabby Fabrics, each oval mat is made with 100% wool and features a beautiful design unique to each month! 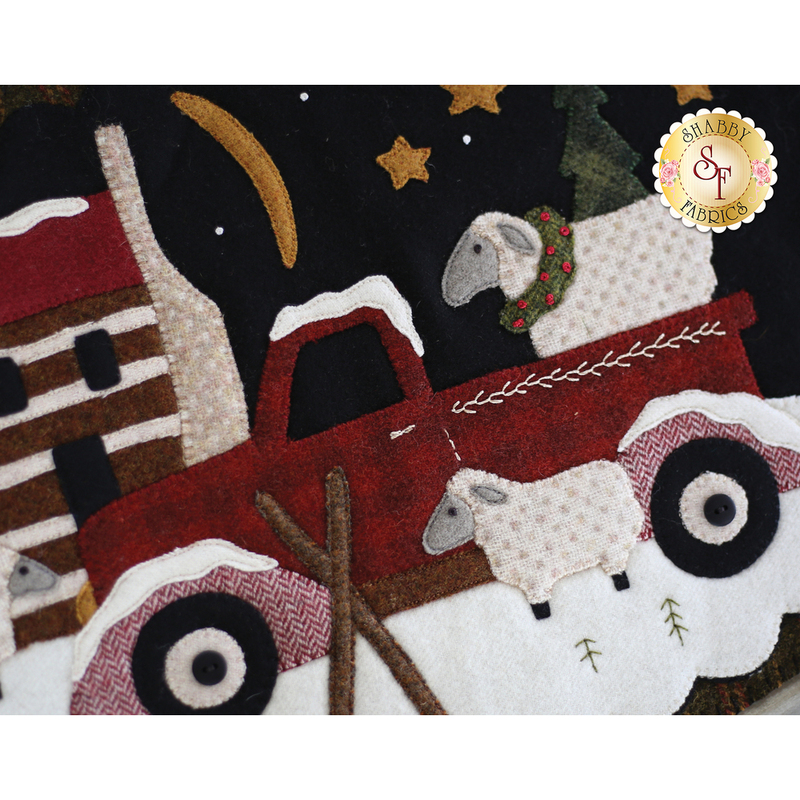 This is the February Kit, featuring sheep gathered around the truck on a snowy winter night! 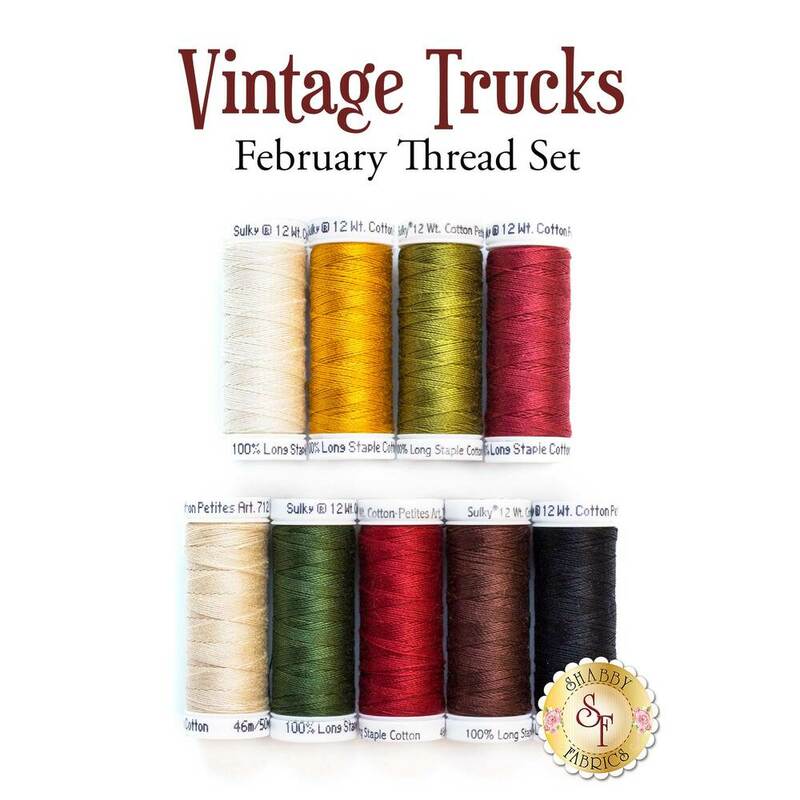 This product is for the individual kit only, however, if you love this Vintage Truck mat, there are 11 more unique designs in the Vintage Trucks Club! When you join the club you'll SAVE MONEY! (A total savings of $36!). Another great benefit is you are guaranteed to get all 12 projects, and it's automatic! A new kit will be delivered to your home each month in time to make and display it for the next month! Mat finishes to approximately 12½" x 22". Want the perfect way to display your mats? 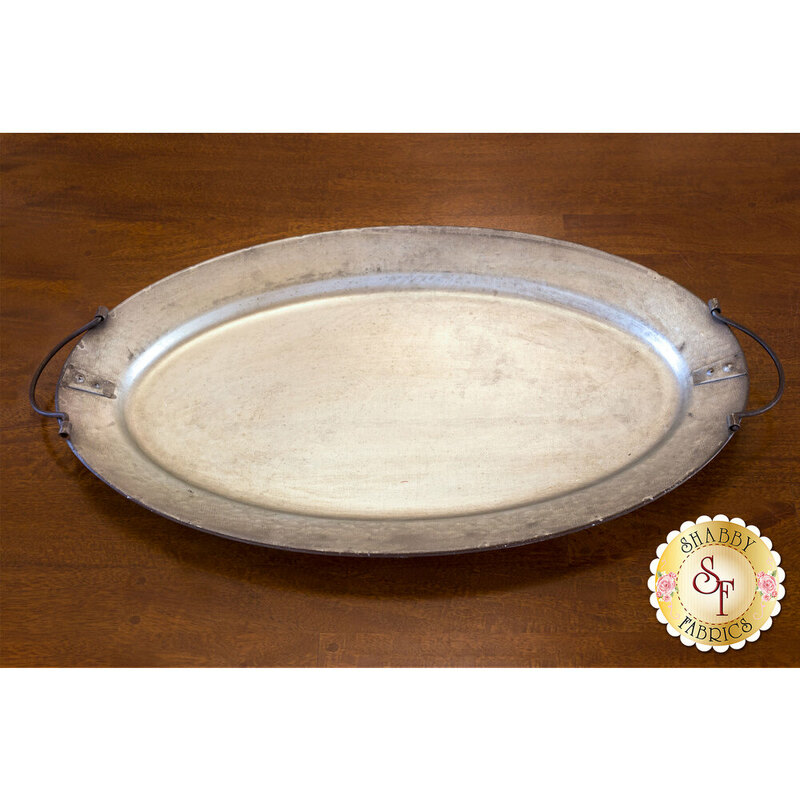 Add the Decorative Metal Tray in the add-ons below for that perfect rustic touch!